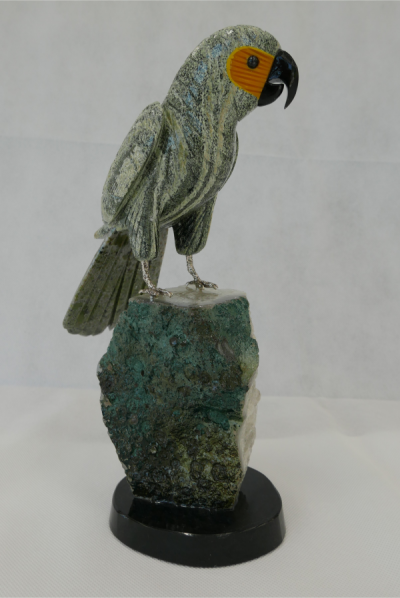 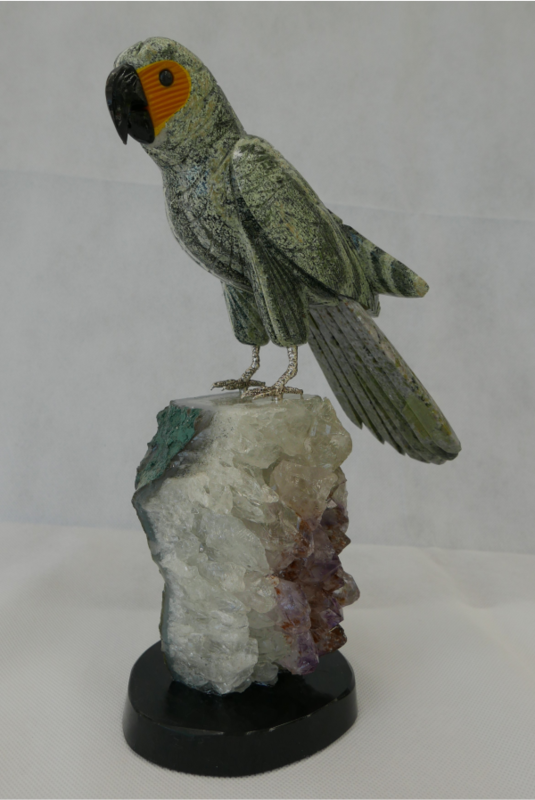 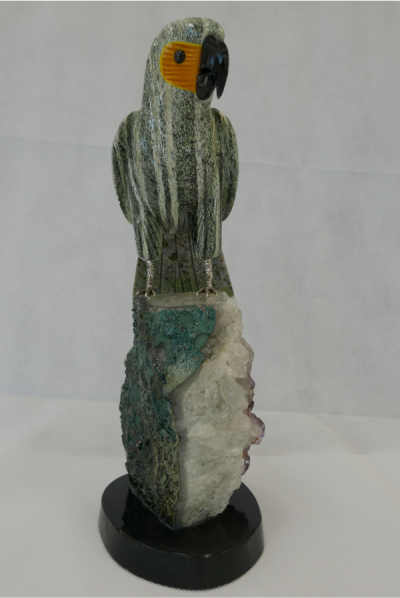 Green Macaw Parrot sculpted from green crystal found in emerald bearing formations. 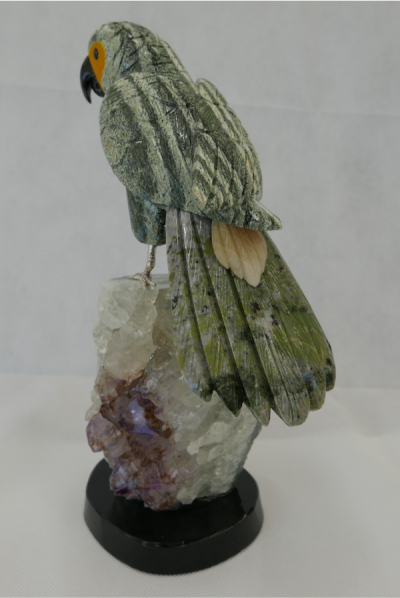 Base: hand cut amethyst quartz on polished wood stand. 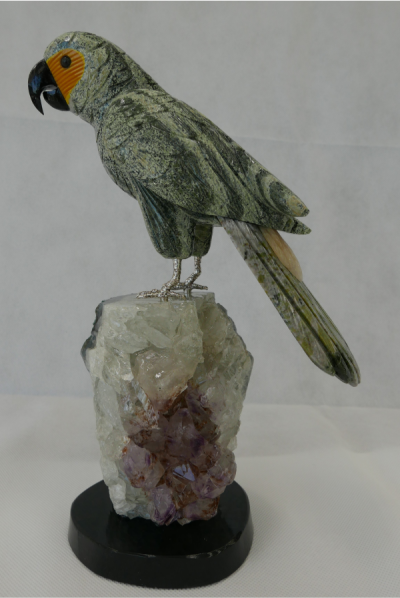 The sculpture is decorated with orange crystal with coloured crystal for the beak and eyes.